Our name, Envescent, means to grow from within. Envescent, LLC was founded in 1999 by lifelong Arlington, Virginia resident Alexander G. Chamandy with the goal of providing thoughtful, security-focused and expert-driven IT services to businesses in and around the Washington, DC metropolitan area. Since then, Envescent has grown steadily with over 17,000 satisfied clients ranging from individuals to large businesses. As we’ve grown, our vision of thoughtful, expert-driven service has remained intact and become the cornerstone of our reputation. 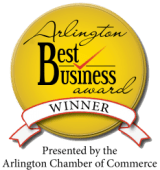 We’ve kept our primary offices in Arlington, Virginia, with a commitment to remain a family-owned and operated small business with strong ties to the local area and its communities. Our company works closely with clients around the world on projects big and small. Envescent offers computer and technology services ranging from business IT support all the way through in-depth consulting; automation of business processes; cloud solutions and migrations; exhaustive cybersecurity audits and remediation; IT policy development and training. We specialize in helping businesses outsource information technology so that they can focus on their operations and growth. Our primary goal at Envescent is to address our clients’ technology needs promptly and professionally. We think outside of the box, providing a combination of value and expertise that is unparalleled in our industry. All with excellent customer service, communications and a steadfast commitment to adapting our strategies to fit your company’s specific IT needs. And unlike managed service providers (MSP) that charge a monthly fee even if no work is completed, we bill on an as-needed basis. This saves our business clients money over the duration of our relationship. It also builds trust as we communicate what work we are doing and why we are doing it to ensure we have a mutual understanding of services rendered. As a result we form long lasting relationships with our business clients by not just becoming another IT service provider, but a meaningful partner in your business’ success. We work hard to satisfy clients by focusing on professionalism and experience. Skilled experts – Knowledgeable, experienced and delighted to assist you. You can rely on our commitment to your IT needs. We’re always just a phone call or e-mail away. Personalized service – We work with you on a first name basis. You are a client, not a number, and we value every relationship no matter how big or small. We’re green – Envescent recycles, composts, reuses, prints and ships with recycled materials, works to conserve energy by using efficient computers, appliances and lighting. We purchase 100% clean power from our provider. We also maintain a minimal carbon footprint through our sustainability efforts. Security – We take security seriously and work with our clients to ensure they are not vulnerable to the many threats online. Our approach considers usability and convenience, too. We understand you have to be productive and secure. Open Source – Part of our IT strategy focuses on the use of open source operating systems and applications. We specialize in FreeBSD, OpenBSD, NetBSD and GNU/Linux systems. By using open source software we are able to save our clients money, energy and time on many projects and provide a high quality custom tailored solution. What are the origins of Envescent as a name? When Envescent was originally founded, our vision was that we would be growing not just as a company, but also growing our expertise as time goes on and as the IT industry evolves. Since then, Envescent has thoughtfully expanded its capabilities, insight and focus — living up to the name as originally imagined. Contact us anytime to receive more information about us and our technology capabilities. We’re excited to help your business achieve its potential.